I’m getting ready to write a review of a backpack I purchased two-weeks ago. It’s now been out with me on its second walk and I feel prepared to jot down some of my initial thoughts and opinions. Before that, I’m going to spend this post writing about my selection process for purchasing a backpack. It may help someone else. 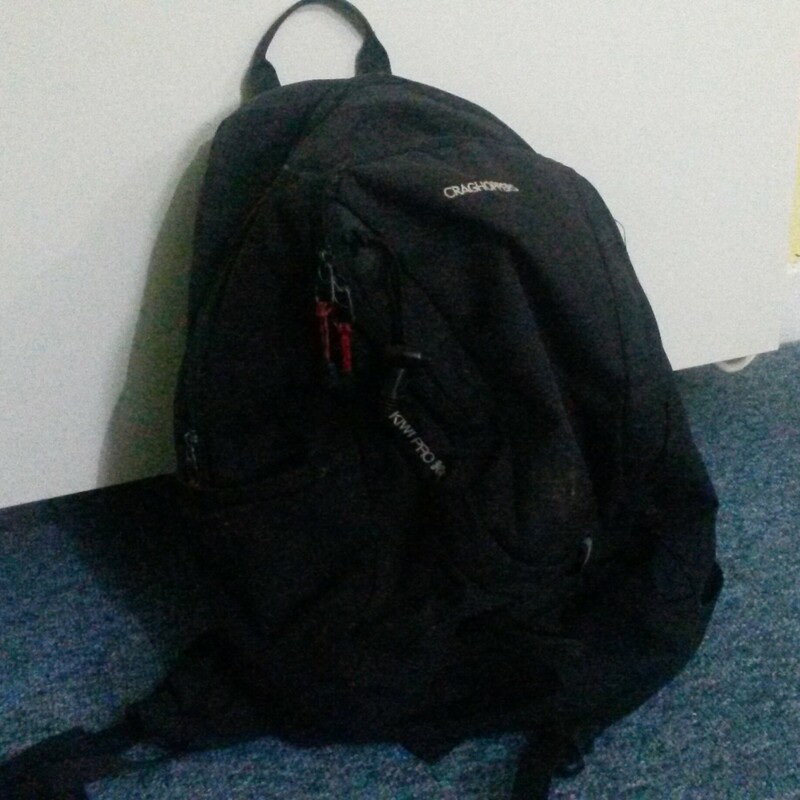 Back in 2013 (maybe 2014), I purchased a Craghoppers Kiwi Pro 30lt backpack [mine is an older version of the one I’ve linked to] from an independent store that’s fairly close to home. £40 seemed like a reasonable price for a backpack, I was aware of the brand name and also happy to help out a local business. It was at the same time that I also purchased my walking pole. 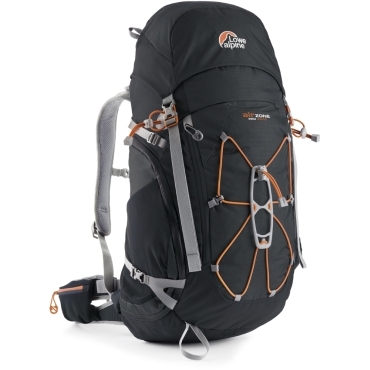 Craghoppers are not a bad name, by any means and this pack does have features you would not find on a typical ‘school backpack’. But, having been in this walking and hiking game for a few years since, I’ve come to learn (the hard way, as we often do) why people will eventually spend hundreds of pounds on even the most seemingly basic of kit. With lunch, waterproofs and other supplies; my Kiwi Pro pack has spent most of the past two-years packed so tight that it was sometimes a struggle to fasten the zips. Walking the thirty-mile Mendip Challenge earlier this month, I really felt the straps wearing in to my shoulders and, when it’s overpacked, it is also less comfortable on my back (not to mention the lack of ventilation. As I’m doing this every weekend now and will continue to walk anywhere between ten and thirty miles in one instant; I decided that a significant upgrade was due and spent a good fortnight looking all over the internet; products, reviews and prices. I estimated that £100 would be a fair budget and I was preparing to purchase something bigger (maybe 40lt), so that I would not have to carry something so tightly packed. 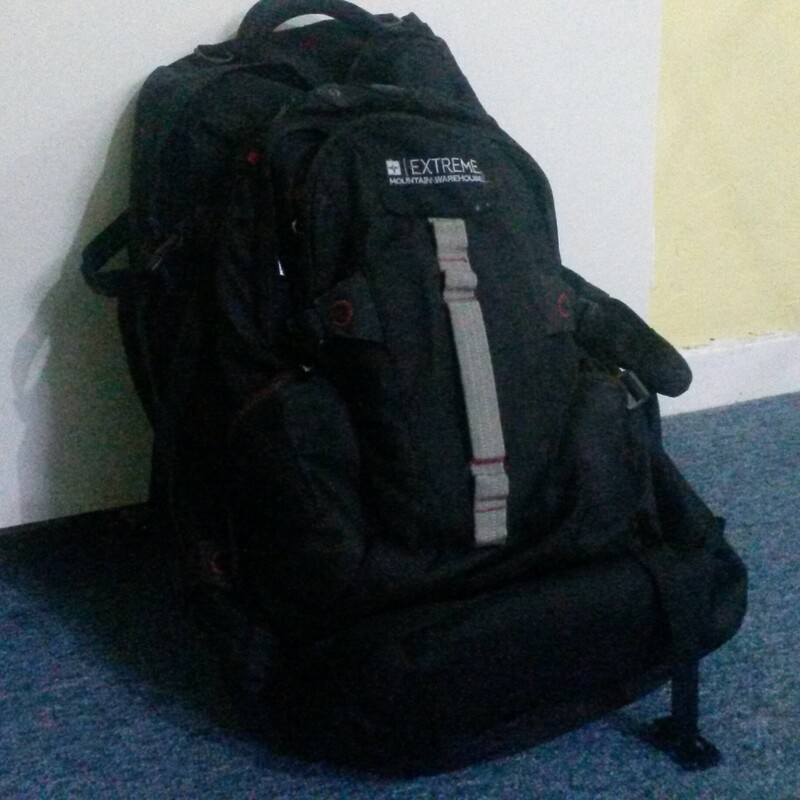 I do already own one larger pack and it’s the Nevis Extreme 65 + 15lt rucksack from Mountain Warehouse… But this is 65l – a size better-suited to days or weeks or continuous backpacking. I still maintain that this is a great one for festivals with its detachable front pack but, if I ever attempt the South West Coast Path or Camino de Santiago, I would not be carrying this. There must be a means of storing and holding walking poles, without having to remove the pack. Hip-belt pockets would be more useful (and comfortable) than filling my shorts or trousers. After many evenings of searching, sorting and contemplation, I decided I should be look for a pack in the range of 30lt to 40lt in its capacity. Shortly before making the eventual purchase, I arrived at the conclusion that 30lt was ‘big enough’ for a single day’s hiking and that anything larger would only encourage me to fill that extra space with unnecessary weight. 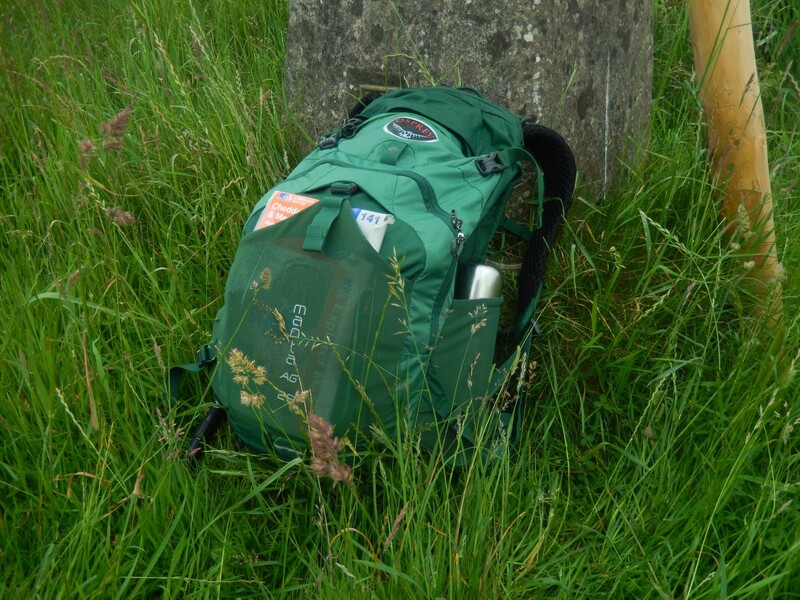 Both of the Osprey packs with filled with intriguing features and, from the many other walkers I’ve met, seen and walked with; I knew that they were a popular brand. Deuter was another name I had in mind but I failed to see what they had to offer that I couldn’t have from an Osprey pack. Lowe Alpine’s pack grabbed my attention after viewing a couple of videos online, where you could see how the pack ‘expands’ to facilitate an extra 10lt of storage space. I remember you can also compact the Osprey Exos packs but again; both of these options offer capacities that exceed my genuine requirements. With my mind now set on the Osprey Talon 33, I was now planning a trip in to Bristol for a proper fitting and hands-on look at Cotswold Outdoor. I loved the Talon 33 from the moment I tried it on. Compared to my old Kiwi Pro, it was comfortable, relatively lightweight and felt as though it had been designed to suit the human body and not just hang over your back. I could imagine myself walking many miles with this and was ready to make the purchase. This is the Osprey Manta AG 28 – the very item I would end up purchasing, that morning. 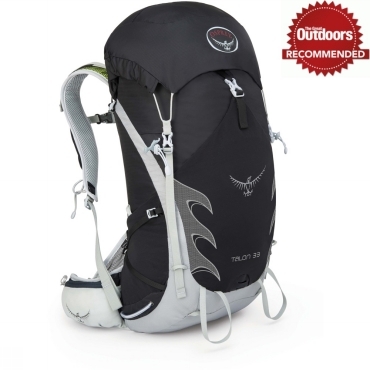 It had many features reminiscent of the ever-popular Talon backpacks and only £10 dearer. It was one thing to be told that AG stood for “Anti-Gravity” but it was only after we loaded the same weights from the Talon in to the Manta that I noticed an astonishing difference… It really was as if this pack was bearing half the load! I wore it, walking around the store for a good few minutes, before I was certain. I thought about how good I am at carrying unnecessary weight. A part of wondered whether 28lt would be enough but, in case you’re unaware of Osprey’s “strange” measurement routine; this equates to 28lt of storage plus 2lt specifically for the hydration resrvoir pocket. So, it’s actually quite comparable to other 30lt packs. Would 30lt be enough? Should I step up to the 36lt pack? Would I better of buying a 33lt pack, just in case? I took one peek in side the main compartment and noticed it was deep. 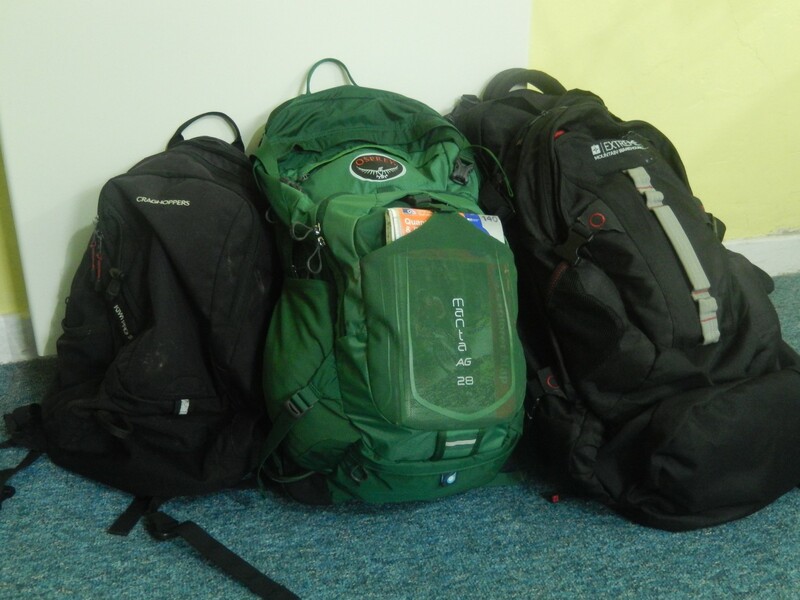 I found suddenly confident that I’d be able to fit more inside, compared to my Craghoppers pack. There’s a lot more that I could say but I’ll save that for my next post! 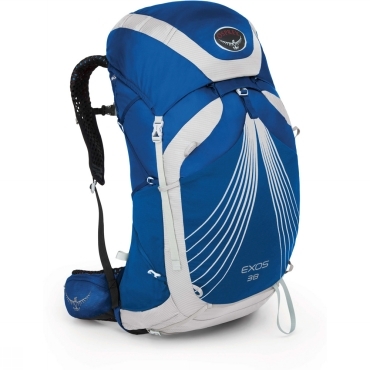 I’ll be writing the full review on the Manta AG 28 soon (for women, there is the Mira range of packs). In the mean time, I hope others will find assistance and food for thought in my writing.